Here is a look at some of our reviews and testimonials. If you would like to add your own, scroll down to the bottom and fill out the form. We always like to get feedback on the quality of our work and it lets other customers see our customer satisfaction. Very happy with their work, honest and reliable firm. I needed a few alterations as the job was being finished as daylight was fading. Gave them a ring and they returned within 2 days to fix a few minor snags. Very competitively priced also! I called TC Roofers to fix some wind damage caused to our roof. They called out the next day, assessed the damage and provided me with two options and a very reasonable quote. The work was carried out the same day to a high standard. They took photos of the work in progress as I wasn't there for most of it. All together very satisfied with the service and quality. I needed new fascias and soffits replaced at our home. Got a few quotes and TC Roofers came in with a fair price. They came out, went through all the details and were able to do the replacements 3 days after agreeing to proceed. Very impressed with the work, would recommend and would use again if ever needed. Sean and the lads arrived on time to fit new soffit, fascia, and gutters. They did an excellent job, perfect finish, clean and tidy work, and done in a day. Couldn't recommend TC Roofers enough. Thanks, Paul. 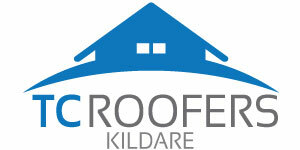 TC Roofers provided expert advice on what was required to fix our roof and fair price to carry out the work. They arrived exactly when they said they would and finished the job on time. I would have absolutely no hesitation in recommending TC Roofers. TC Roofers provided expert advice on what was required to fix our roof and fair price to carry out the work. They arrived exactly when they said they would and finished the job on time. I would have absolutely no hesitation in recommending TC Roofers. Excellent job. They were out the same day for a quote, back the following week to do the work and were very efficient. Turns out it was just a small job and only a few repairs required. There was nothing major wrong with the roof! What a great thing to hear and no messing about. If you need a roof repaired, these are your roofers. I called TC Roofers three weeks ago because I had a leak in our bedroom. They responded fast and were out with in the hour. They had the job done in 2 hours to a really high standard they are the best roofers around would highly recommend. Thanks again TC Roofers. Sean and the lads did a great job. They fixed a gutter leak we had in our rain gutters. Arrived straight after the weekend as it wasn't an emergency and fixed it within 2 hours. We had a small leak at our house. They responded fast even though it was the evening. With some external lights, they were able to fix the leak within a couple of hours. Hardworking lads. Would recommend easily. I had new roof done by TC Roofers. Excellent service. Very professional and timely. Very happy with the finished result. All my questions were answered quickly and professionally. I had new roof done by TC Roofers. Excellent service. Very professional and timely. Very happy with the finished result. All my questions were answered quickly and professionally. Highly recommend. The team were prompt and courteous and the workmanship top notch. Completed replaced the roof on our garage after a tree fell on it. Were in and out within 2 days. No messing and everywhere left tidy after finish. Recommended! Great service from TC Roofers. Guys were very friendly and worked quickly. Great team and worked really fast without any breaks. Very professional. If you live in County Kildare and require an experienced roofing or guttering contractor, give TC Roofers for Co. Kildare a call today. We offer unbeatable service, 365 days a year. Book a free quote today from a roofing and guttering contractors near you.